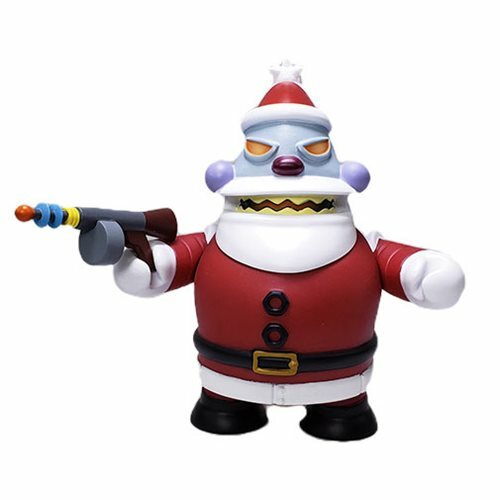 There is a chance that if he catches you after dark he'll chop off your head and stuff your neck full of toys from his sack of horrors; but you'll probably be fine. 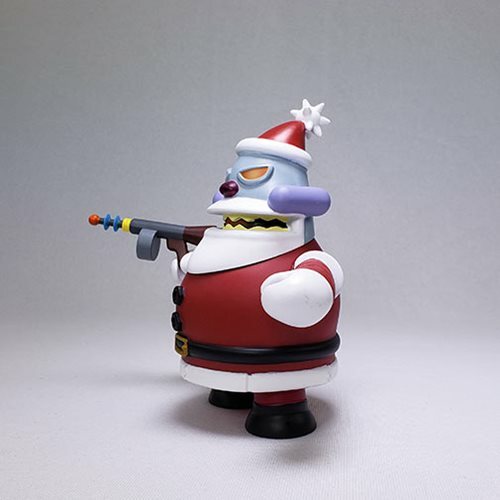 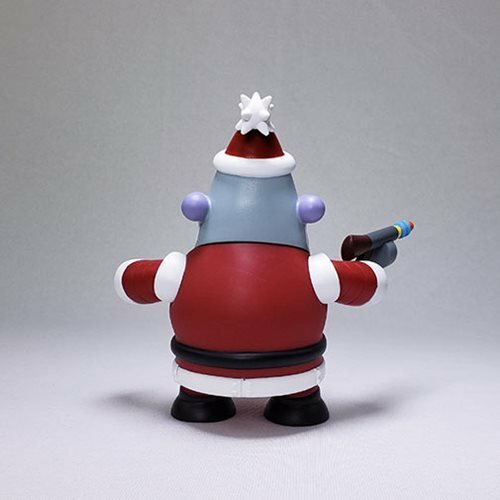 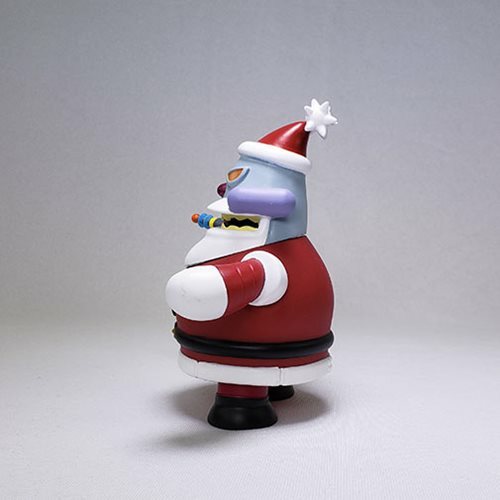 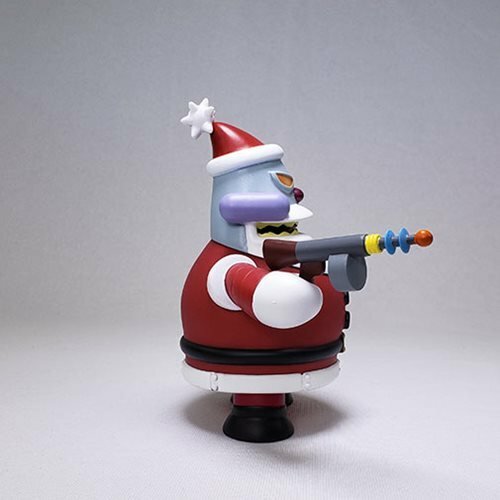 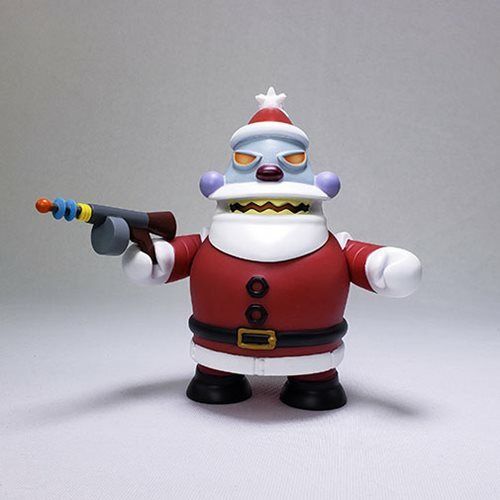 Futurama x Kidrobot team up to ring in your holiday fears, with this Futurama Naughty Robot Santa 6-Inch Medium Vinyl Figure! 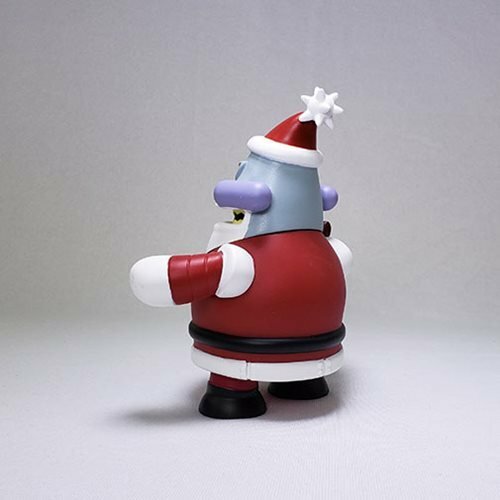 Robot Santa is checking his naughty list (at over 50 mega checks per second) and is about to get jolly on all our asses! 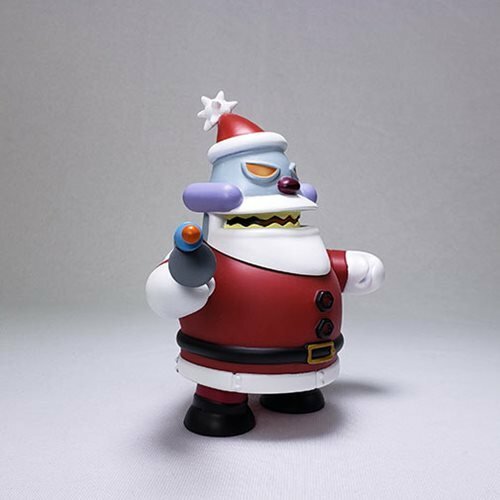 This year, you too, can be dreaming of a red Xmas.